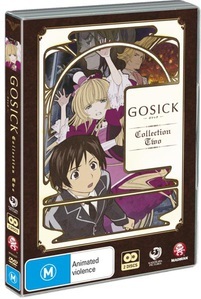 Gosick is set in the fictional European country of Sauville in the 1920s. Kazuya Kujo is a transfer student to St. Marguerite Academy, a place where myths and superstitions are abundant. While there he chances upon Victorique, a mysterious, yet highly intelligent girl who spends her days in the seclusion of the library reading its entire content or solving mysteries that the local detectives can't solve.